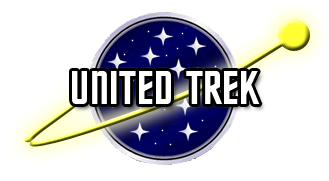 Star Trek: Intrepid is available at TrekBBS as well as Ad Astra. As a hopeless battle ensues, the crew of the USS Intrepid comes face to face with one of the galaxy’s most fearsome legends; a species of unequaled malevolence and destructive power. Captain Aubrey must soon choose between the risk of handing victory to the Dominion, or allowing an ancient horror to once again ravage the galaxy. Commander Shantok receives a fateful visit from her estranged mother, but appearances can be deceiving, for the encounter is not all that it appears to be. A massive starship is on a collision course with a populated world. Is this an attempted invasion or something else? Captain Aubrey and Intrepid have to act quickly to find out in order to protect a new ally. This story is a work in progress at the TrekBBS.